My demands on ethical and quality standarts of beauty products have increased over the past 2 years. Before I purchase a cosmetic product, I explore its brand’s philosophy, origin, ethical values. More information about production process is provided, more trustful it becomes in my eyes. There still remain loads of drugstore or even dermatological brands which are owned by magnate companies concentrating their low-cost cosmetic production in institutes with animal testing or other unethical practices (haven’t been abandoned in some places yet, e.g. China). I would like to share thoughts about an organic beauty brand with a very interesting story and admirable all natural production. It is Natura Siberica, cosmetics of wild herbs and flowers. I have already published an unboxing video including my first impressions on Natura Siberica products. 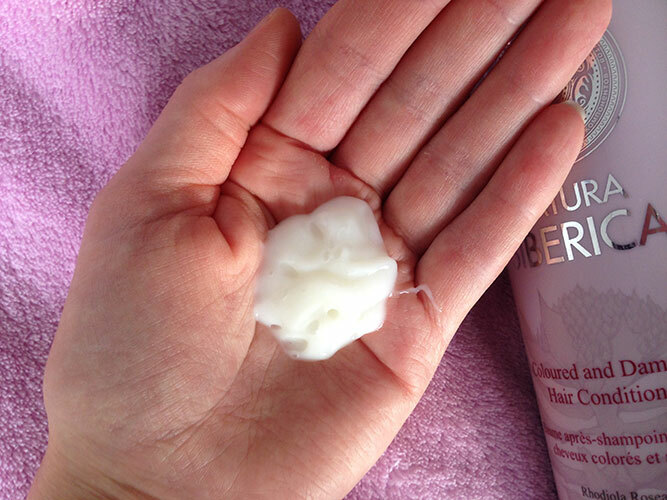 You can watch it to see my complete experience with Natura Siberica haircare line. Natura Siberica has become a really unique Russian natural cosmetics brand. It is the first Russian brand of all natural high quality cosmetics. The brand has received a number of ‘green cosmetics’ awards. Winning the award of the ‘Best organic products for mothers and babies’ might speak for the quality and devotion of the company. In its products Natura Siberica uses wild herbs and flowers coming from Siberia, the area of Russia with extremely harsh climate. The plants here possess amazing protective properties to survive the severe conditions. The brand builded their own organic farm in Russia to grow Siberian herbs and flowers. 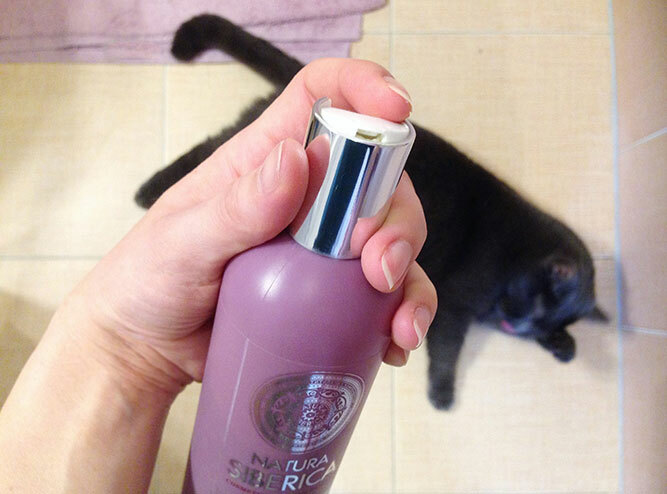 Both design of Natura Siberica products and their price are very nice. The shampoo and conditioner for colored and damaged hair contain unique extracts from Rhodiola Rosea root which protects, moisturizes and repairs damaged hair fibre. Wild Beeswax provides hair with pretty gloss. 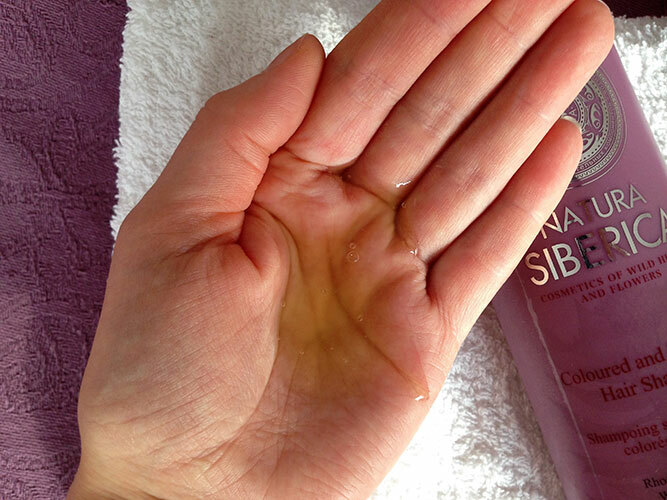 As you can see in my photos, the Natura Siberica shampoo composition is oily, while the creamy conditioner adds extra softness to hair. Each bottle has a dispenser for easy and saving application. I was very curious about the result of these products. It more than met my expectations. I already can see the change on my hair after a few applications. My hair feels very well treated and it looks bouncy, full of life. 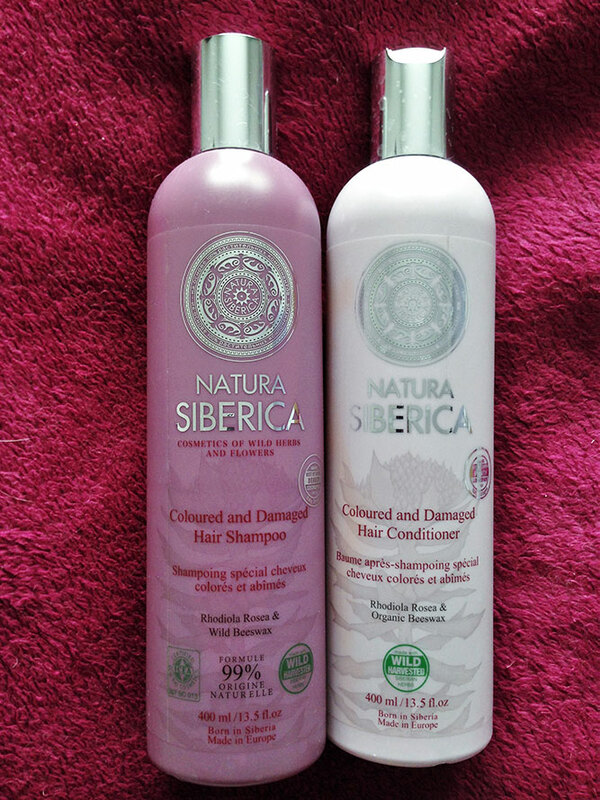 I am excited to try out more of Natura Siberica products.